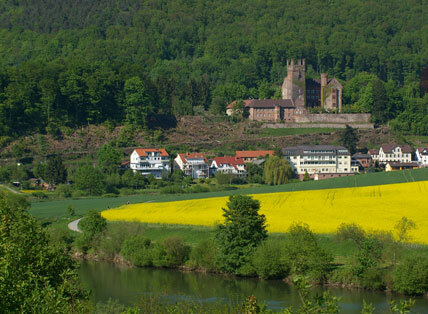 The immediate environment of Heidelberg is the Neckar Valley between the steeply rising slopes of the Odenwald. 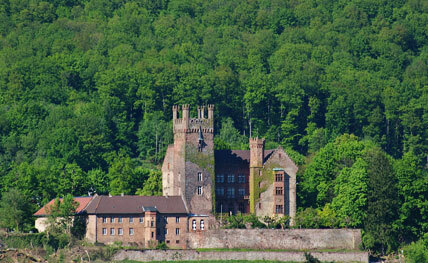 Heidelberg lies in an area that has been an important region of Central Europe since primeval times. 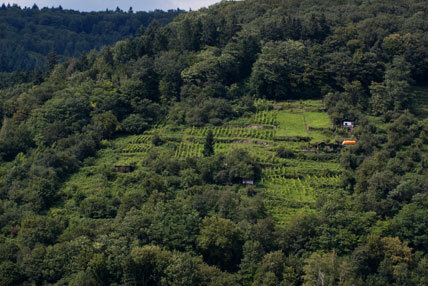 The Upper Rhine Rift Valley, on the edge of which Heidelberg is situated, is extraordinarily fertile, not least because of its mild, almost subtropical climate. 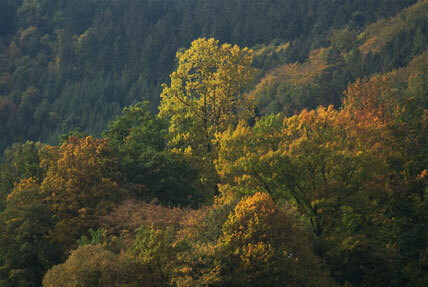 The Rhine and its tributaries has been one of the most important arteries of Central Europe since time immemorial. 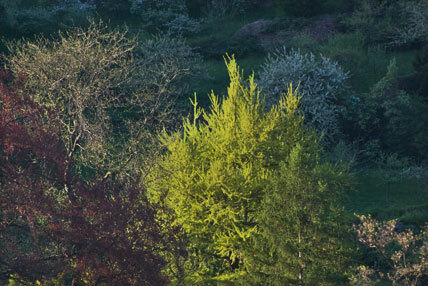 It isn't surprising that there are so many towns of historical importance in this particular area. Worms was founded by the Romans, was later the setting of the Nibelung Saga and had an important role to play in the history of the German Empire as a whole. Many imperial diets took place here, including the one which led to Martin Luther's banishment. 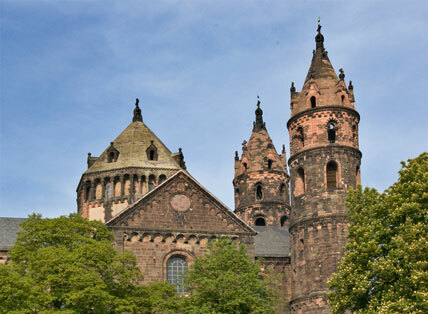 Speyer can similarly look back on a long and important history. 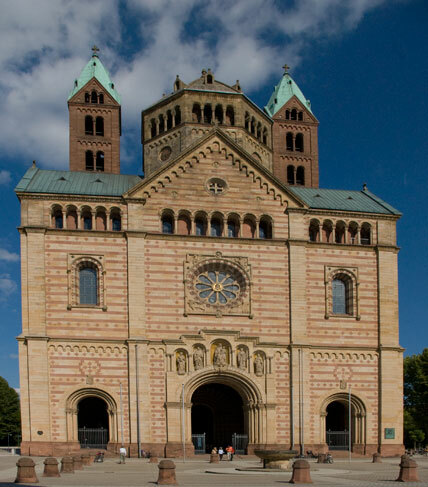 The Romanesque imperial cathedrals in both Speyer and Worms are witness to the former importance of these towns. 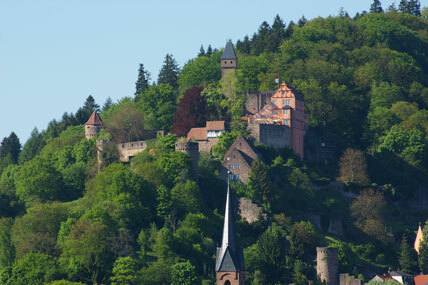 While people preferred to settle on the slopes of the surrounding mountains, the Odenwald to the east of the Rhine plain and the Palatinate Forest to the west, and while the towns along the Rhine with their massive town walls offered protection during the turmoil of mass migration and the ensuing Middle Ages, the growing political stability after the end of the Thirty Years' War allowed people to leave the constriction of the town fortifications and fortresses and build handsome buildings on the expansive Rhine plain. 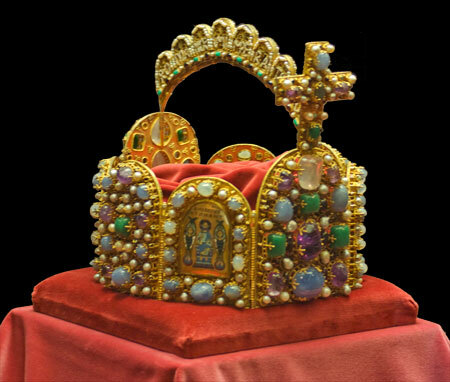 Copy of the Imperial Crown in the Trifels. 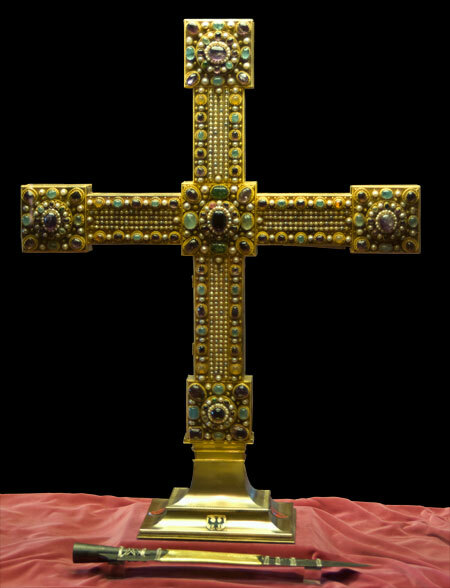 The original is in Vienna. This is how the palaces and parks of Mannheim, Schwetzingen, Bruchsal, Karlsruhe and Wiesbaden came about. As the left bank of the Rhine always consitituted a bone of contention between France and the German Empire, there are fewer residences there than on the right bank. Instead, over 1.000 castles and castle ruins are witness to a period when castles were a way to protect oneself against rapacious neighbors. 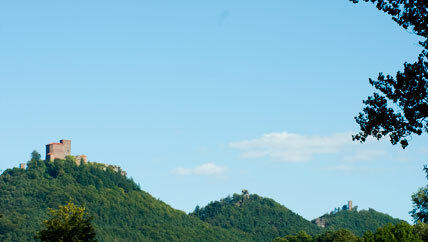 Castles were able to control whole stretches of a valley. Along the Neckar River as well there are still a great many stone structures bearing witness to this time, many still for the most part intact.